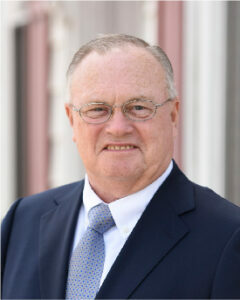 Rick began practicing accounting in 1975 in New York City before relocating to Myerstown where he owned the practice that became Gift CPAs Myerstown office in 2012. His expertise ranges from personal tax returns to small business consulting and succession planning. Rick develops long-standing client relationships based on truth, honesty, and trust. He believes service is important as it sets you apart from the masses. Rick is a member of the Pennsylvania Institute of Certified Public Accountants (PICPA) and the American Institute of Certified Public Accountants (AICPA). He is active with the Jackson Township Authority and Myerstown ELCO Rotary where he was awarded the Outstanding Service Award. Rick has read Popular Science magazine since high school and enjoys learning about new developments in science and technology. Rick spends his personal time with his wife and friends, woodworking, golfing, and traveling.